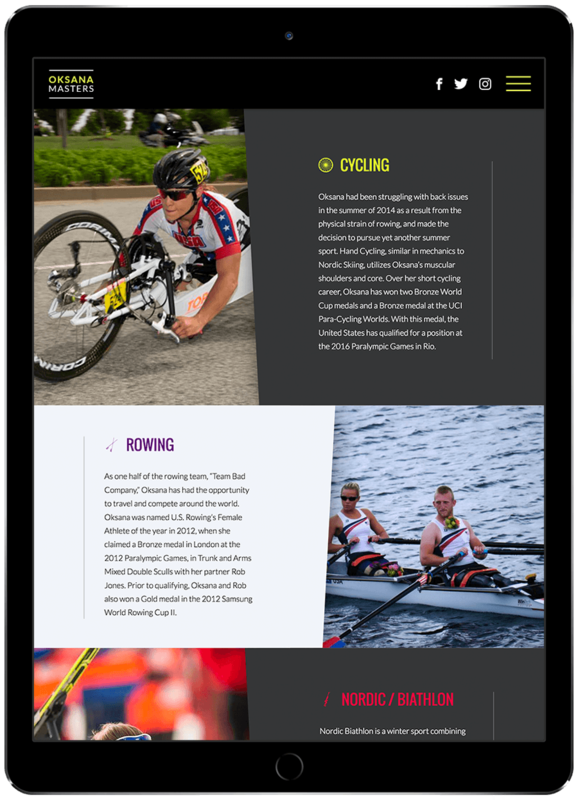 Oksana Masters, a multi-medalist in World Cups, World Championships, and the Paralympics representing Team USA, needed a site that would reflect her passion as well as her winning track record. DBS built a site that features a gorgeous design that reflects Oksana’s personal brand while also providing updates to Oksana’s competition schedule and her impressive list of achievements. An award-winning site for an award-winning athlete? Mission accomplished. Find out how we can deliver your own custom solution.